Casino Supply has been manufacturing professional quality Sic Bo layouts / Sic Bo felts for years. 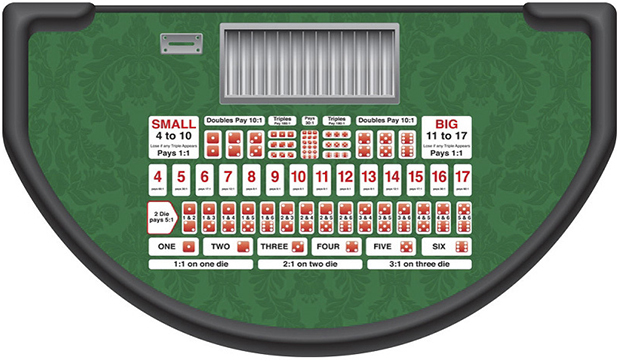 Our stock green Sic Bo layout design features all standard betting areas. 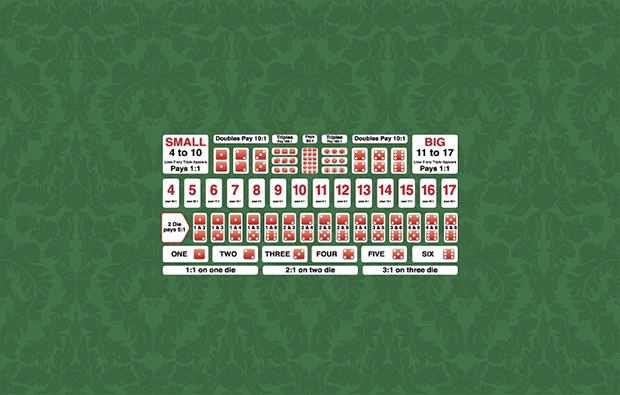 We can quickly and affordably print custom Sic Bo layouts to meet any needs.